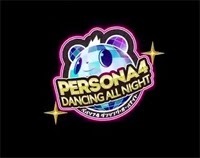 The Next Persona for the PS Vita... a Dancing Game. Ready to dance all night on your Vita with your Persona stars? Have we got the trailer for you. Looks like you'll be able to experience the latest Persona Vita release next fall. Here is the teaser trailer for it for your viewing pleasure. Is this the Persona you were looking for? Let us know in the comments.